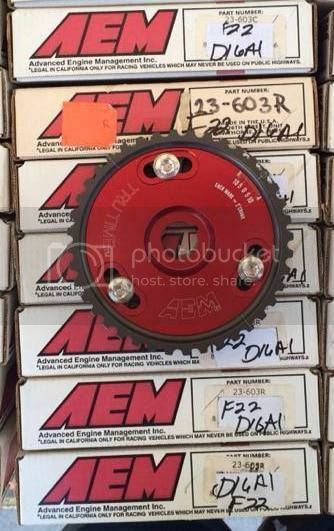 AEM CAM GEAR Blow-Out Sale: Fits 90-02 Honda Accord 4 Cyl./86-89 Acura Integra/85-87 Honda Civic/92-96 Honda Prelude F22A1/95-98 Odyssey 4Cyl. Only $51.50 shipped within the contiental USA. Email [Only registered and activated users can see links. ] to place order.